This Advertising Flag Provides Any Business with an Effective Promotional Strategy! Outdoor Signs and Feather Banners are Available for Purchase Independently for Customer Convenience! 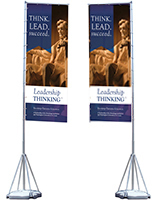 Purchase Advertising Flag Stands Alongside Custom Signs As Well! 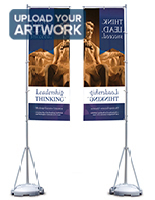 The GiantPole is an advertising flag stand that is perfect for outdoor or indoor promotional displays. Your custom signs hang about 4-3/4' above the ground. 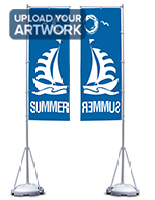 This advertising flag system, like other outdoor banner stands, can be filled with sand or water, for stability in winds up to 31 miles per hour. 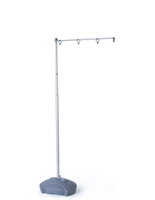 With this advertising flag stand, the feather banner remains visible due to the flag armature, even when there is little or no wind. The flag frames are attached at the top of the telescoping flagpoles and extend horizontally along the crest of the blade banner. 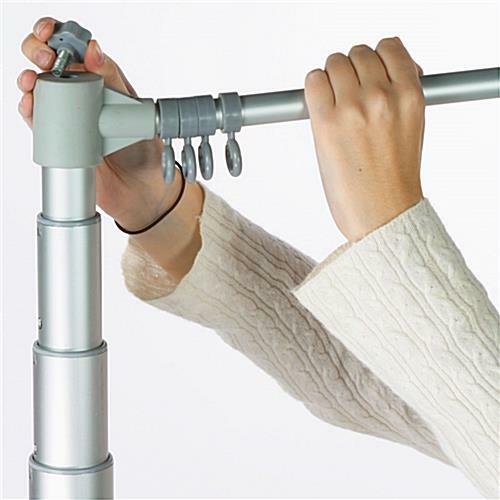 The advertising flag pole comes with an aluminum telescopic support that retracts for travel and storage. The telescoping flagpoles also make setup a cinch. The promotional signs can be attached at ground level, and then each part of the flagpoles is extended upward and fastened into position. Because the telescoping pole is made of aluminum, it is light enough to be erected by one individual. 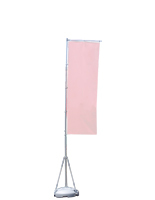 The advertising flag display has a four leg support that attaches to the base to disperse wind loads. 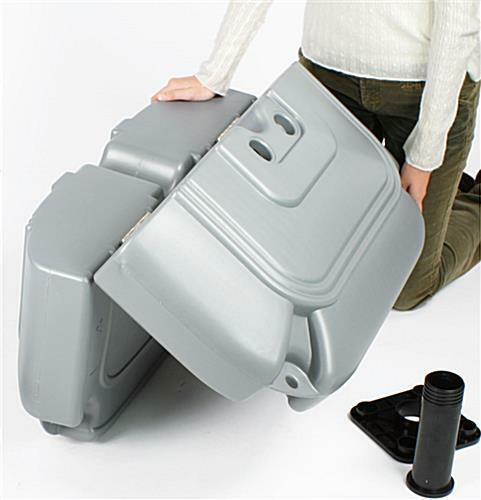 The base also folds for easy transportation. A hanging weight on the bottom grommet of the banner keeps it outstretched and does not allow the sign to become entangled around the pole. 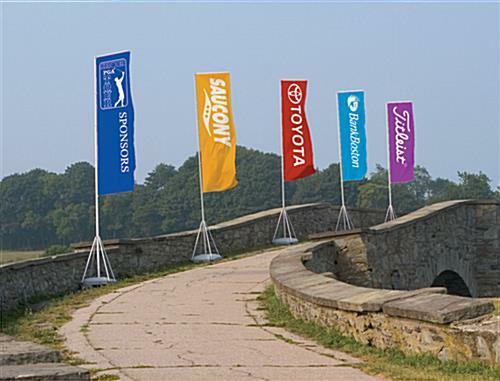 The flag arm allows displayed signage to freely to rotate with the wind. 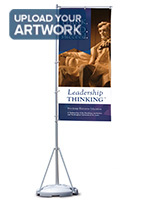 This capability to rotate 360° supplies eye-catching motion and permits the advertising flag stand to handle heavier winds. Displacement of winds results in less wind resistance to avoid tipping and damage. 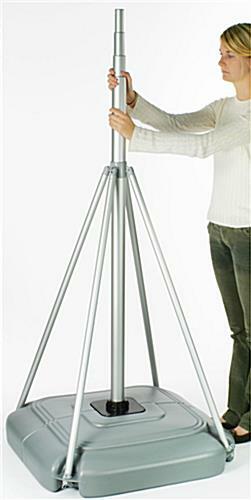 Incorporated with this set is the GiantPole stand and two carrying bags for travel. 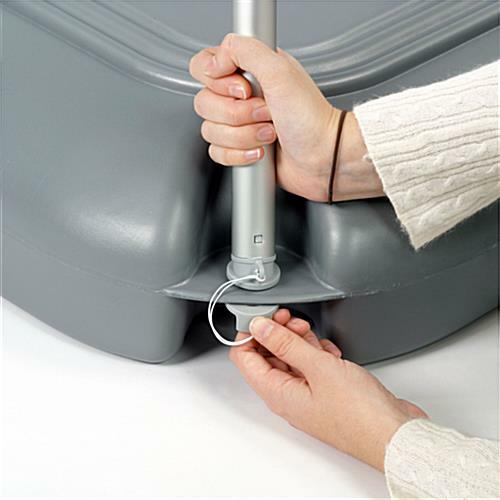 One of the bags is designed to store the telescoping pole, support legs and flag attachment hardware, while the other stows the folding base. Please Note: Printed flags are NOT INCLUDED. When leaving the units outside for extended periods of time, the water level in the base should be frequently monitored. 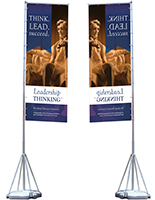 We are proud to offer banners for these GiantPole advertising flag stands. We have researched many different flag options and have come up with a solution that we feel is the best for a reasonable price. These are real flags that will blow in the wind, not heavy vinyl banners. While they are not the cheapest advertising flags you may find, with proper care and use they will last for years without fraying and with little or no fading.